HyperX Cloud Flight Review | Nerd Much? A headset was provided by HyperX for this Cloud Flight review. 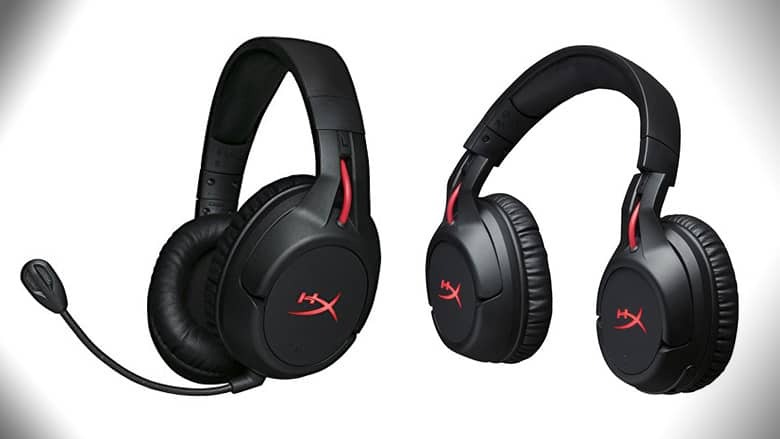 I should probably preface this review by noting that I’ve grown quite fond of the HyperX brand over the past few years, especially when it comes to their headsets. I’ve been a longtime user of the brand dating back to the original HyperX Cloud, continuing on my journey with the brand with the Cloud II, then the Cloud Revolver and Revolver S. Now, we’ve finally arrived at their newest iteration, the HyperX Cloud Flight, their first attempt at a wireless headset. Generally speaking, our experience with the Cloud Flight headset has been a positive one. In fact, I’m currently using it as my nightly gaming headset, as well as our go-to headset for Twitch streaming (ahem, you can give us a follow here, you guys). While our thoughts are mostly positive, we also have a couple of gripes that we’re hoping will be ironed out for the company’s next attempt. As far as the positive side of things are concerned, our most notable praise comes from the extreme ease of use, particularly when it comes to mic muting and unmuting. Instead of having to fumble to find a small button or fumble with a cord, you can easily mute your mic by simple pushing in your left earcup slightly. This is why we use it so much for our streaming; if you get a phone call or have to mute your mic quickly, you can do so without the hassle. The volume control uses a scroll wheel on the bottom of the right earcup for ease of access. Setup was also as easy as plugging in the USB stick and turning the headset on. There’s no complicated software to install and configure, which is a plus. While that is pretty much the status quo nowadays for PC headsets, it should still be noted. The USB stick users a 2.4GHz connection to transmit sound using a PC or PS4, and it can also be used with just about any other device (Switch, Xbox One, mobile, etc) using the included 3.5mm cable. Secondly, the Cloud Flight’s impressive battery life sets it apart from the competition. HyperX claims the headset will last roughly 30 hours with the LED off and volume at 50%, and it lives up to that claim. Unlike with my Logitech G933 (also a great headset at the time of its release) which had a battery life of 12 hours, I don’t have to worry as much about making sure the headset has a charge because I found that, in all likelihood, it already did. The headset also has a much more attractive physical design than the Cloud II and Revolver line, with a slightly edgier look. I can also really appreciate the rotating ear cups because they make the headset look better when it’s hung on a wall. The headset was tested with a few of my frequently played games, including PUBG, State of Decay 2, and Overwatch. Car noises in PUBG were crystal clear, and I could easily distinguish barefoot steps and steps from a well-shoed individual. In State of Decay 2, you can easily hear zombies from a distance, in front of you and behind you, and you can pinpoint their location using sound easily. In Overwatch, you can clearly hear all the High Noons you can stomach, even in the heat of battle. The Cloud line continues to earn its name here, as the headset feels incredibly light while you’re wearing it. In fact, you’ll mostly forget you’re wearing it at all. Yes, seriously, it’s THAT comfortable. The earcups feel pillowy, the soft pleather headband sits comfortably on the top of your head, and the earcups are able to be rotated so that they sit at the perfect angle on your face, effortlessly. Best of all, perhaps, is that the earcups don’t press against your ears, which is great for someone like me who wears glasses and has to be mindful of things pressing them into the side of my head. It feels like someone took two awesome-sounding pillows and smothered the sides of your face with them. Microphone quality is also notable here, and it’s one of the better-sounding mics under $200 that you’re going to find. Mic clarity is top-notch while streaming and chatting in Discord, and it makes my smooth, sultry voice that much easier for my friends to take-in. While we’re loving our Cloud Flight, it isn’t without its issues. First, and foremost, is the fact that you’re only getting stereo sound, which is the most disappointing aspect of it. While it sounds great, presenting deep, rich lows and generally sounds clearer than the SteelSeries Arctis 7 (its closest competition). While it uses 50mm drivers, we still would like to see a 7.1 simulated surround sound higher-tier option offered soon. The Hyper Cloud Flight headset is perfect for Twitch streaming and playing with friends, but because of its lack of 7.1 sound it’s not the best choice for competitive gaming. Still, it’s THE most comfortable headset on the market today, and has great stereo sound. Pair those two big pluses with the fact that it looks great and has an intuitive design, and you’ve got yourself one hell of a headset for under $200.